The Patriots rolled on Sunday afternoon, shutting down the Broncos 16-3 in Mile High thanks to a strong running game and a suffocating defense. While the offense wasn't very sharp, the other sides of the ball stepped up to get the job done against a Patriot-killer Denver squad. The Pats got the ball on offense to start out the game, but took a while to get going. Tom Brady started out 0-for-6 for only the second time in his career, and New England only got on the board first thanks to a lucky special-teams bounce. When the Broncos drove down the field two drives later to knot up the game, Pats fans were understandably worried. Thankfully, the offense got rolling and the defense clamped down. The Pats, though it was a poor offensive day overall, extended drives long enough to grind the clock and solidly won the field position and turnover battles. They entered the locker rooms with a 10-3 advantage and tacked on two more field goals to finish the day at 16 points. 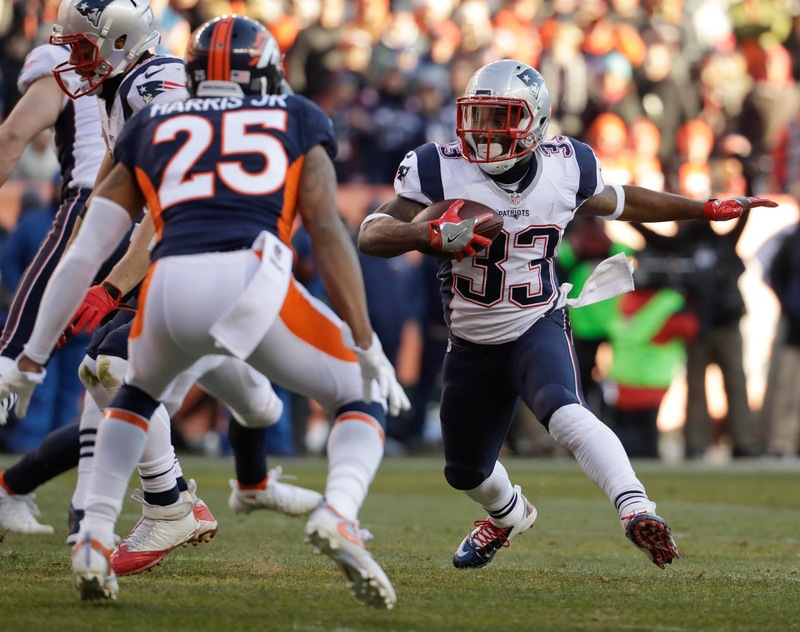 Dion Lewis was the primary between-the-tackles runner instead of LeGarrette Blount, and ran all over the Denver front seven--he finished with 18 totes for 95 yards, and would have had more except for a couple shoestring tackles. For its part, the defense harassed Trevor Siemian and never let up the clamps. Logan Ryan came up with a big red-zone pick to end an early Denver drive and swing momentum. After that, the Broncos never made it back inside New England's 20. Trey Flowers emerged as a force along the D-line, racking up two sacks and meriting double-teams on key occasions. As a whole, the Pats charted four sacks and overpowered a mediocre Denver O-line. It was one of their best defensive performances of the year, and they'll hope to repeat it next week against the lowly Jets. Most importantly though, this win showed that the Pats can win without an All-Star performance from their All-Star quarterback. Brady only recorded 188 yards through the air and didn't throw for a TD (his receivers, especially James White, did him no favors with drops), but New England still controlled the game from start to finish. 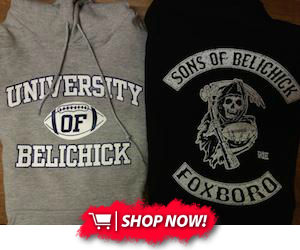 It might have hurt Brady's MVP chances, but it's a great sign for the Pats come playoff time. The Pats play the Jets next week on Christmas Eve at 1:00 Eastern. Stay tuned!